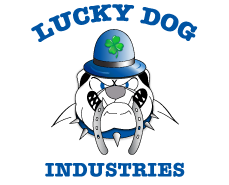 LUCKY DOG maintains a high level of service reliability by operating a modern fleet, which consists of 2013-2015 model year equipment operating out of the Mid-Atlantic region. We maintain the highest standard of excellence in customer service and to support that goal we utilize walking floor trailers, tipper trailers and dump trailers to meet your logistic transport needs. On-Site Refueling. Fast Turn Around. Less Traveling to Refuel.